CrimLaw: Do Heavy Guideline Sentences or Mandatory Minimums Work? Do Heavy Guideline Sentences or Mandatory Minimums Work? Incapacitation [incarceration] works very well during the period of incapacitation. Measured by impact on recidivism (after release), though, anything longer than six months is probably counterproductive. Shock incarceration, shock probation, scared straight, D.A.R.E., and boot camp programs do not work and may well do more harm than good. One shortcoming of the movement towards increased incarceration through reduced judicial discretion is that incapacitation is only effective until the defendant is returned to the community. There are other problems, of course: the broad brush of these measures sweeps into prison offenders whose incarceration is not only not necessary for public safety, but may increase the danger they represent to public safety once they are released. Moreover, there are unintended collateral consequences and enormous public expenditures that follow from our ongoing experiment with "mass incarceration." I think this is probably correct in the modern social environment but does not reflect what would happen if sentences were uniformly massive. However, unless something significant changes sentences will never be uniformly massive. While I've never engaged in any kind of study (and doubt an accurate one could be done), from where I sit as a Defense attorney the social-work environment within which your basic street dealer exists is amazingly redundant. When I first started practicing I was surprised to find that no matter how many times police rounded up the dealers in a particular area it had absolutely no effect on the ability of my clients to get drugs from exactly the same place. As my practice progressed into the defense of those dealing I began to glean the why of this. At least in Virginia, those who deal/use drugs tend to form loose-knit, somewhat overlapping groups. The trick is to stay connected closely enough that someone can take a dealer's place if he is removed (usually by incarceration) but not to become affiliated closely enough that the police can get everyone as a group. In the city this seems to be done by groups of "friends" who are usually located close enough to support one another. Sometimes this rises to the level of "gangs" but that is a dangerous development because once the association rises to that level it is like painting a bullseye on those participating. In rural areas where everyone knows everyone the grouping seems to devolve on certain families. Generally, everybody in the county knows that the Smiths are dealers but the Smiths know every single deputy by name (the young men were on the same high school football team even). Snitches and leads are harder to develop because of the level of interpersonal knowledge among locals and the instant distrust of the sudden appearance of a stranger; after all, if a white "phone company van" is out on a country road where only the Smiths live and there ain't any phone problems they will probably notice. 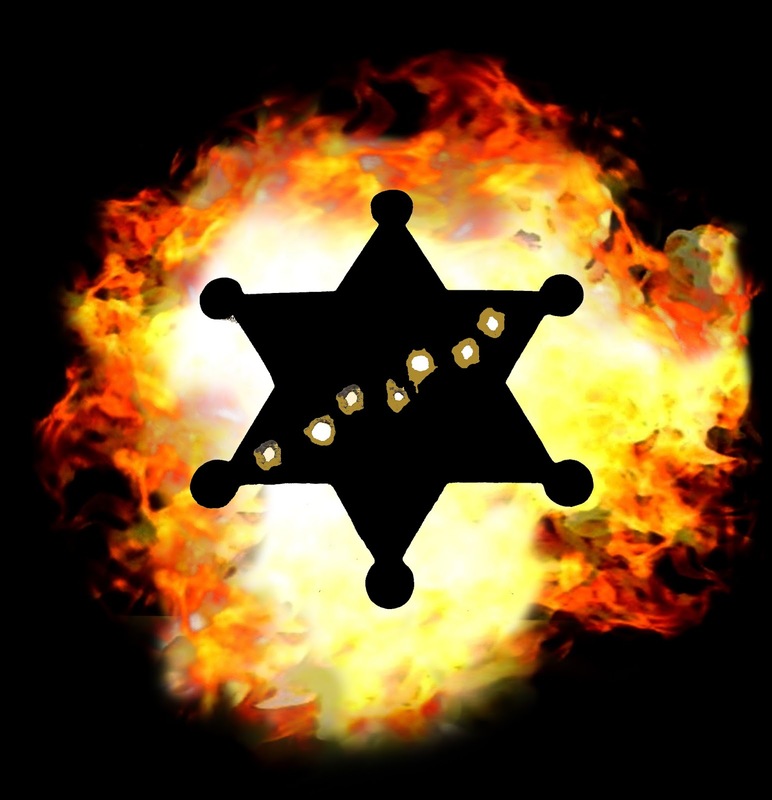 As well, the local sheriff seldom has the money or manpower to put together a team to break the family. These groups are an important part of the business because attrition and reacquisition of members is constant. There is always someone going to jail or prison. When that person goes others step in to keep the flow steady (and quite often to take care of the other guy's girlfriend, kid, mother, etc.). There is also always someone getting out of prison needing people to come back to who will get him back on his feet; the guy coming out of jail also often brings new sources and contacts which he has made inside. The fact that multiple groups overlap somewhat is also important. Sometimes the police are either lucky or put in tons of hard work and roll up most of a particular grouping. Then friends who are peripherally attached to the group step in with their group connections to continue the business; assuming that the first group isn't released en masse when members of that group come out they don't really have any massive loyalty to a particular group and usually reintegrate successfully. Now, the dealers, their families, et al. engage in a cost benefit analysis (though they wouldn't phrase it that way). The expectation is that people will get caught every so often and cycle through terms of incarceration.1 The typical 6 or 8 months really has little or no effect on the system at all. If a sentence is 2 years or less it is annoying but can be handled. Above two years things start to get painful and five or more years is definitely a serious disruption. The type of time faced in federal court is devastating because it takes the dealer entirely out of the system. Why then don't the federal sentences act as a major deterrent? Because they don't pierce the consciousness of the local street dealer and his family. The dealers know well what kind of time they will probably face in the courts of the Commonwealth and their activities take that into consideration. Their family and friends are constantly in and out of Virginia's courts for one matter or another. On the other hand, most of them have no clue where the federal courthouse is and no comprehension of the penalties they can face there. When these people are picked up, the first conversation wherein you explain federal sentencing to them is always painful. The feds just aren't active enough to make an impression and therefore aren't factored in. And why would they think that one time out of fifty the feds were going to be the ones involved in basic street sweeps, arresting intrastate dealers? I certainly didn't before these mid to low level dealers started getting assigned to me. With all that in mind, the judge's proposals would seem to have merit. While I don't believe they would be as successful in the long term as massively increased penalties, they can be effective. This is the kind of thought that has led to the development of drug courts and programs to help people deal with their mental issues. Are these programs abused? Sure, some try to cheat their way through; nevertheless, the programs offer a far better chance at turning a minor offender back into a beneficial member of society than warehousing him in a prison does. They are also far more cost effective and less disruptive, at least in the short run. This is running long and I've got to get some sleep tonight. As always, I remind ya'll that this is an incomplete thought which would probably take a lot longer to flush out completely. Feel free to discuss it among yourselves . . .
1 Please note, I don't actually think the group is an organized entity calculating this way. It is more of an evolved social grouping formed into what it is by its constant interaction with law enforcement and the courts. No one "expects" or wants to go to prison. It is just that jail/prison is not a debilitating thing. 2 Were Virginia to go this route it should also prepare for a more violent future. Dealers who believe they are going to prison for a short time are likely to just go. Those who believe that they are going away for sentences which are often effectively life sentences will fight back. I cannot place my hands on the statistics right now but California's 3 strikes law is supposed to have caused a significant upswing in violence. 3 Yes, that's my tongue you see firmly planted in my cheek. However, in actuality I think there is a lot of local law enforcement going over the heads of local prosecutors, judges and juries and trying to get the feds to take cases because they know how imbalanced the federal system is. Actually, you make a good case for real punishment for the small users -- as long as the demand is there, new dealers like you say will step in to fill the demand. How do you deter the demand? I respectfully disagree with Anonymous; I feel it’s a waist of time and energy to arrest users who are essentially victims of dealers who in most cases introduced them to the drugs. Our jails and prisons are full of users more so than dealers and the problem is still there. We all are paying to keep these users in jail at a rate of $6,000.00 per month or more. This is a great burden on localities and this money could be used to arrest dealers who are the problem in the first place. Forget the idea of “Drug rehab” it does not work at all, yet it is essential to the courts to have an alternative for users, but it is a waste of time and money. Most of the time they fail to report after a while and then are rearrested jailed etc, costing more court time and money. Most police really do not worry about users anyway. I know this as I once was a law- enforcement officer and worked extensively in drug interdiction and public housing communities. Drugs are like anything else if the public wants it, they will have it, remember probation and what that caused in this country organized grime. As for those driving charges and all those people incarcerated for such, it is a travesty and poor reflection of fair and equal justice, if such a thing exists. Then we have poor indigent people locked up because they owe some child support for one valid reason or another they can’t pay, yet it cost thousands a month to jail them. The children do not benefit but the courts seam to us it as a show of authority. It says much about no debtor’s prisons. Another twisting of the law in my opinion “Contempt of Court”this because one is indigent or poor. This country and Virginia need to take a realistic and “Reasonable” look at our judicial system and stop the politics that cause all this in the first place. Anyone Going to the Blakely Argument Monday? Who am I? Personality Test.